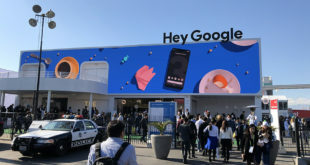 Google’s plan to digitise millions of books is facing another obstacle as photographers and illustrators plan to launch a class action lawsuit over the reproduction of copyright images. According to the Financial Times, a range of photography associations and trae groups is bringing the lawsuit as they were not allowed to join the existing lawsuit brought by authors and publishers, which has been ongoing since 2008. The Google Library Project is a scheme to scan around 18 million books on to an online database, however the plan was challenged on competition and privacy grounds and has seen more than 6,500 authors opt out of the agreement. “Google is scanning in books and publications with visual images, which impedes the rights of the copyright holders of those images. We are seeking compensation for that,” said the founding partner of Mishcon de Reya, the law firm that is leading the case, James McGuire. Next How much bigger can Apple get?